Malema campaigns in Richards Bay - SABC News - Breaking news, special reports, world, business, sport coverage of all South African current events. Africa's news leader. Malema says once the party is voted into government they will have pupils arrested if they are found loitering on the streets during school times. EFF leader Julius Malema took his election campaign to Mzivukile sports ground in Nseleni outside Richards Bay on the KwaZulu-Natal north coast. 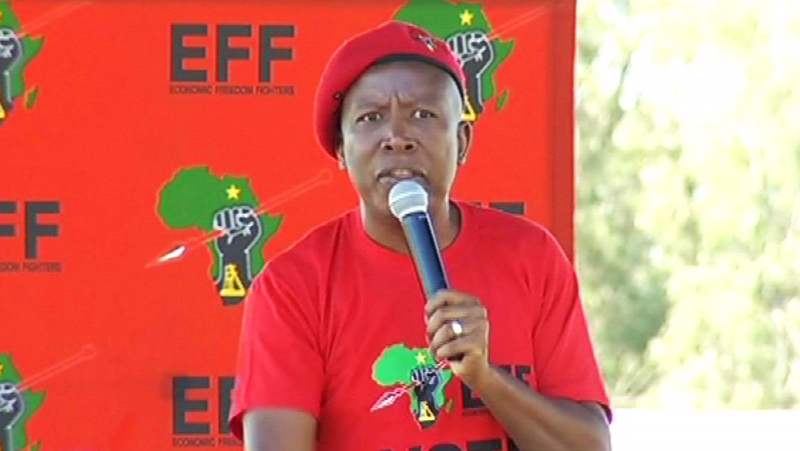 Malema addressed his members ahead of the May 8th general elections.